The sciatic nerve is a nerve stemming from your lower back into each of your legs. It’s important for communicating signals between your brain and legs. When a condition or injury puts pressure on the sciatic nerve, it’s known as sciatica. Sciatica is often painful and can limit your mobility. Occasional pain in the lower back or legs is normal, but when it’s severe or recurs frequently, you may need to see a physical therapist for sciatica treatment. Strengthening and stretching exercises — Sciatic pain is often the result of weak and stiff muscles in the back and core. Muscles in this condition provide adequate support for the spine, which puts pressure on the sciatic nerve and causes pain. Strengthening and stretching the muscles helps establish support for your spine and reduces pressure off the nerve. 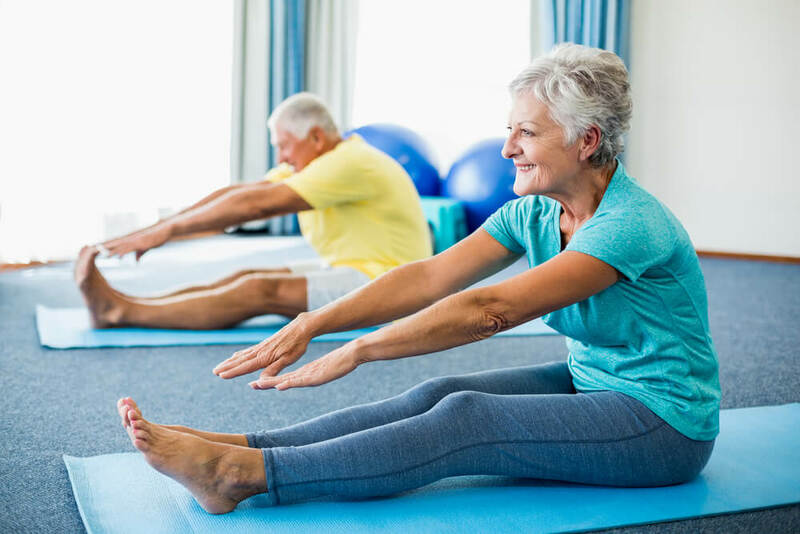 Aerobic exercises — Aerobic exercises increase the rate of blood flow in your body, which helps deliver more oxygen and nutrients to your back to reduce pain and improve the condition of your muscles. Manual therapy — Physical therapists use hands-on therapies like joint mobilization, soft tissue mobilization and massage for treating sciatica. The goal of many manual therapy techniques is to reduce pain and improve mobility. Hot and cold therapy — Another common cause of sciatica is inflammation and swelling in the back. Using cold therapy can reduce the swelling and help ease the pain. Using hot therapy further reduces pain while improving blood flow to the back for the delivery of more oxygen and nutrients. Electrical stimulation — Physical therapists can apply electrodes to the lower back and connect them to a machine that releases controlled bursts of electricity. These bursts of electricity cause the muscles to contract and release, which can reduce pain and improve muscular strength and flexibility. Our physical therapists use these methods and more for treating lower back pain and sciatica. If you’re suffering from sciatica, talk to one of our team members about what we can do for you. Contact us today to learn more about back pain treatment or to schedule an initial appointment.